The Gateway Suite from SRC Solutions provides world-class, eco-friendly paperless solutions across the world. Automating processes such as student registration, choice/lottery and electronic records, SRC Solutions enables school districts to be partners in achieving a reduction of their environmental footprint while protecting data and documentation into perpetuity. Central Records Gateway is a complete, all-in-one digital records management system. SRC Solutions offers a suite of applications designed to increase your productivity and efficiency. 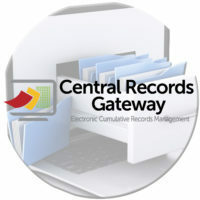 Central Records Gateway is a complete Document Management architecture managing student, employee and business office records. Registration Gateway will take your district’s paper registration process and transform it into an online experience for both parents and staff alike. 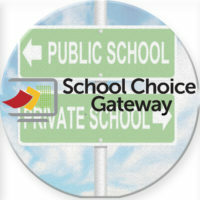 School Choice Gateway is a revolutionary new system offering a configurable, rules-based solution to the unique challenges presented by paper based school choice and open enrollment processes. 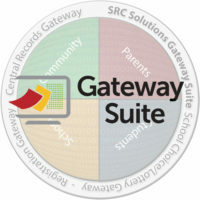 The Gateway Suite is the complete end-to-end solution for a paperless district comprised of School Choice Gateway, Registration Gateway and Central Records Gateway. Graduate to a Paperless School District in 4 Years. Bringing together three award winning solutions to solve School Choice/Lottery, Enrollment and Electronic Cumulative Folder headaches. If paper and outdated process are affecting your productivity and blowing out your budgets, click below to learn how to take back control with The Gateway Suite. Registration Gateway is the only Online Student Registration Solution to win this award three years in a row. We would like to thank our valued customers for their loyalty in nominating Registration Gateway for this award. "It used to take me days to enter all of the information for our incoming kindergarten students. I probably spent about 30-40 minutes completing a single student’s registration. Many hours of time is saved by having the parents do all of the data entry, and there's less of a chance for data entry error. After review, the file is sealed and all information is effortlessly moved over to PowerSchool. An entire registration, from parent to PowerSchool, takes less than 15 minutes." 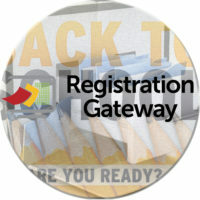 "Registration Gateway has saved time for our school district in a couple of different ways. Parents of our district’s students have the option of enrolling online, which saves us time at the physical registration appointment, and also eliminates data entry for our registrars. Not having to decipher parents’ handwriting and other improvements to data accuracy also expedite the registration process." If we truly want educational technology to take root in schools and finally live up to the promise we've been expecting for more than a decade, schools need to develop a cadre of well-trained tech instructional coaches.